Role Model Busy Phillips attends as Aerie celebrates #AerieREAL Role Models in NYC on January 31, 2019 in New York City. 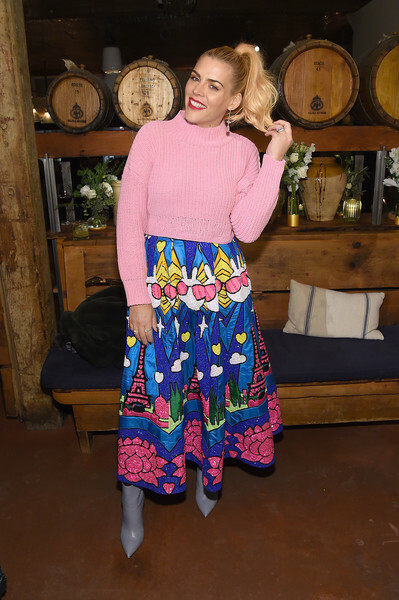 We're totally crushing on Busy Philipps' graphic Manish Arora skirt! Busy Philipps was sweet and cozy in a pink mock turtleneck at the #AerieREAL Role Models celebration. Gray ankle boots rounded out Busy Philipps' vibrant ensemble.